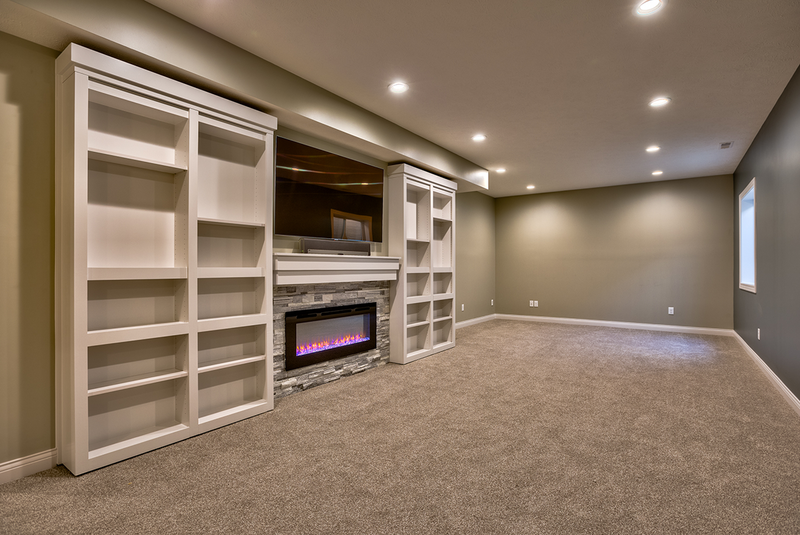 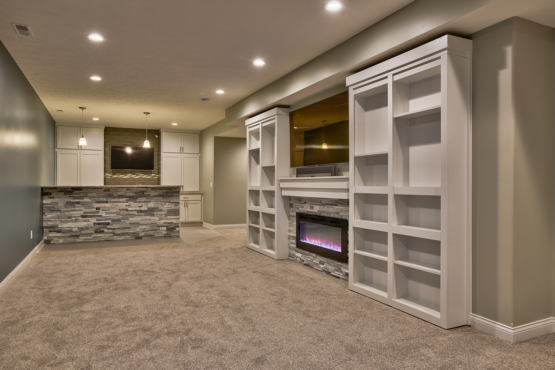 Once an unfinished basement, this space now offers a cozy and sophisticated spot to relax. The sleek, modern electric linear fireplace with stone surround will be sure to keep these homeowners warm. 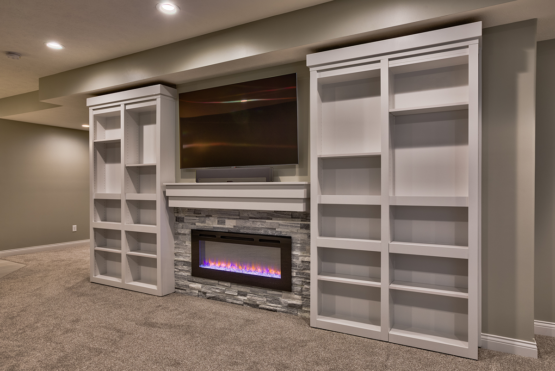 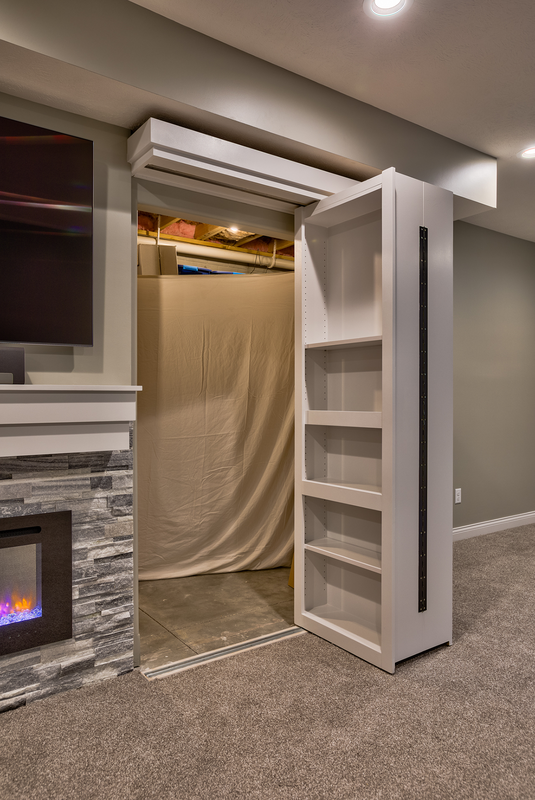 The murphy doors, disguised as shelving on either side of the fireplace, offer an elegant and innovative doorway solution. 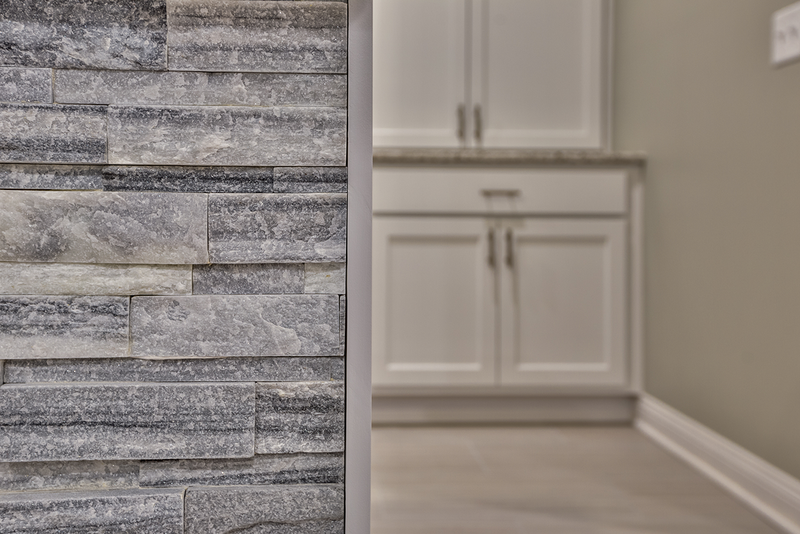 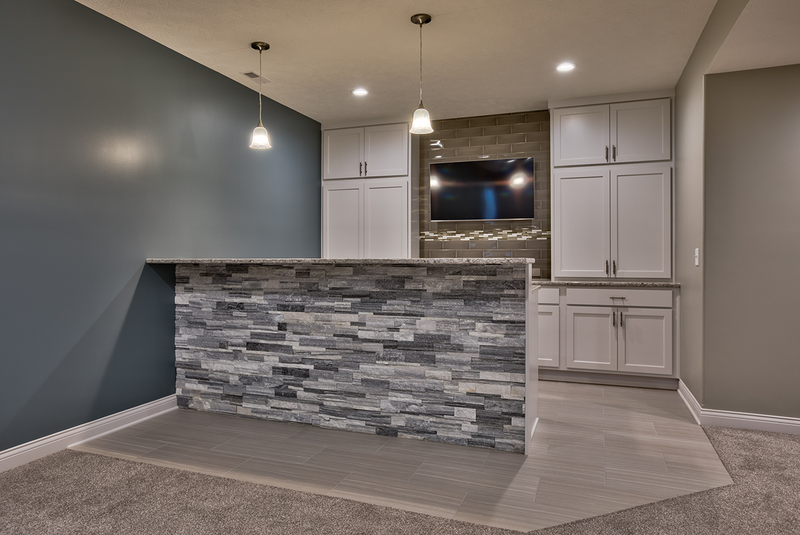 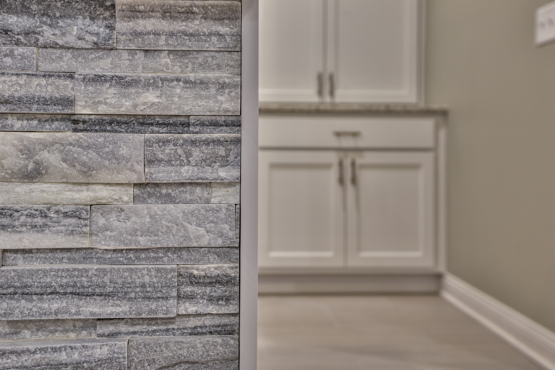 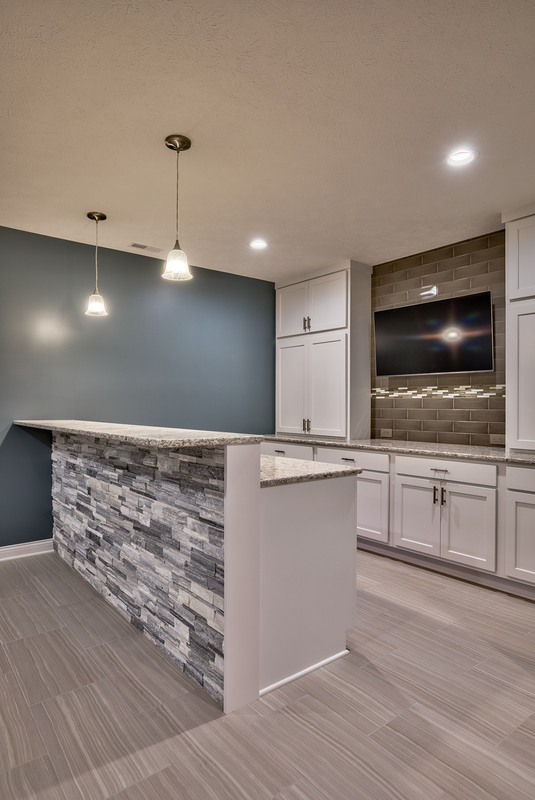 With Cambria quartz countertops, subway tile backsplash, accent tile and custom cabinetry, the bar provides a chic entertainment area. 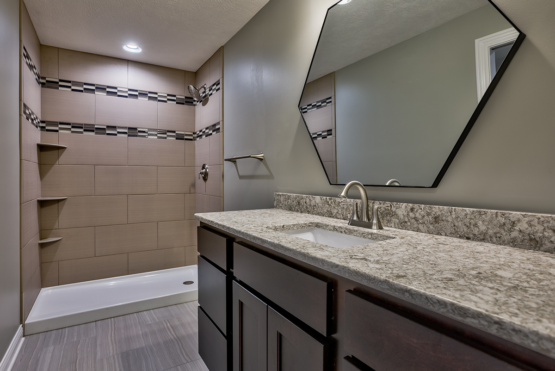 The quartz countertops and tile floor seen in the bar area carry over into the bathroom, giving a cohesive feel throughout. 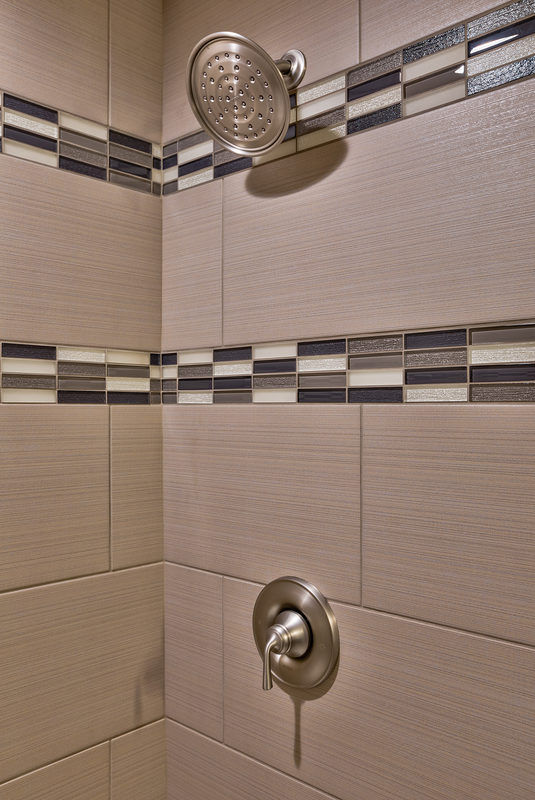 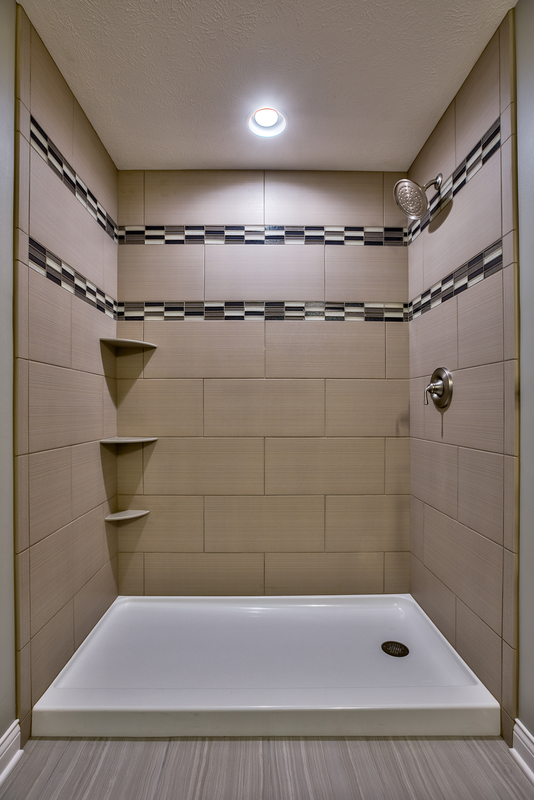 The shower boasts a tile surround with accent inlay and built in shelving. 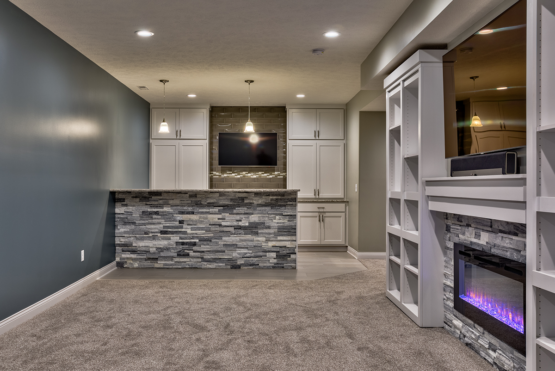 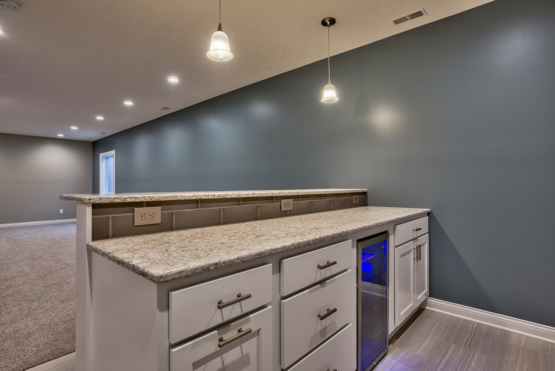 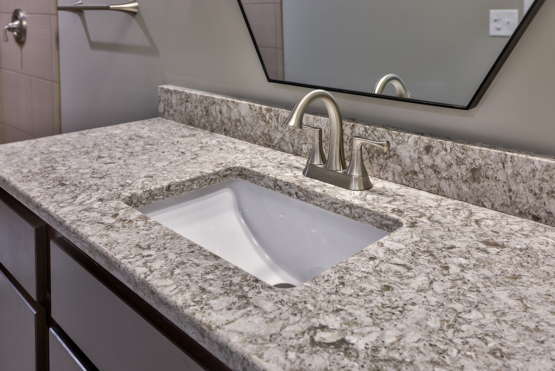 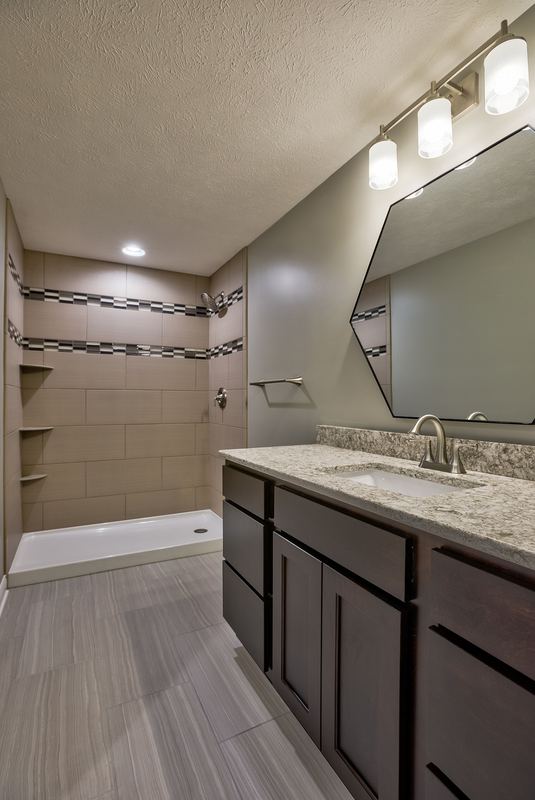 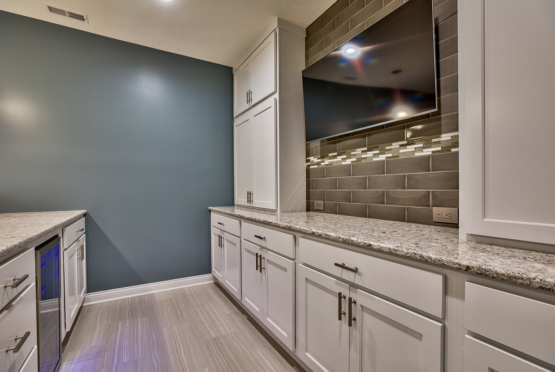 Brushed nickel hardware give the perfect finishing touch to this desirable basement bath.